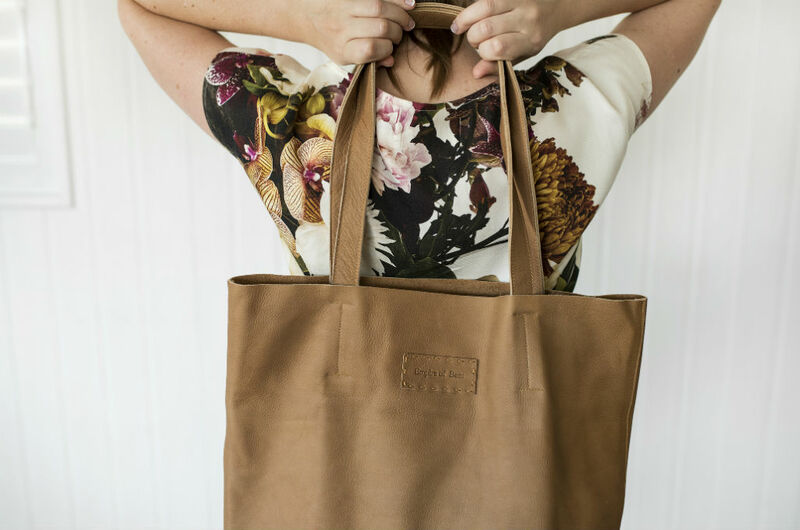 From producing in Australia to sourcing upcycled fabrics – these Australian and New Zealand brands have ethical and sustainable production in the bag. Ahimsa Collective is leading the charge in their industry to find sustainable materials and ethical production methods. Their ethos is to not only reduce the footprint this generation has had on the planet, but attempt to reverse it, and they’re doing so with their vegan leather alternatives and their minimal-waste production model. The brand’s range of handbags and clutches are ethically made in Sydney, using materials such as Pinatex (a sustainable vegan leather alternative), ethically sourced washable paper and up-cycled vinyl salved from landfill. 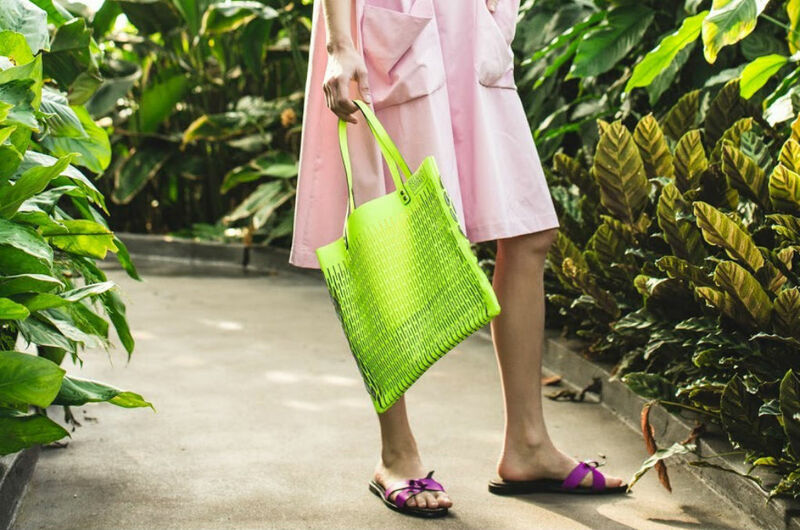 Sunshine Coast bag, shoe and accessory designer Felicity Cooney has a handle on sustainability. In producing the brand’s high quality products, she opts for ethically sourced kangaroo leather from Australia. Felicity Cooney uses Zero Waste pattern cutting techniques to ensure fabrics are not wasted, and runs her design studio on solar energy from a local farm. The signature tote pictured is Felicity Cooney’s ‘Summer Bag’ – good for market runs or your everyday handbag. But if you’re not into this, the brand also has a range of more classic, minimalist bags and accessories. Felicity Cooney is all ethically produced in Australia. 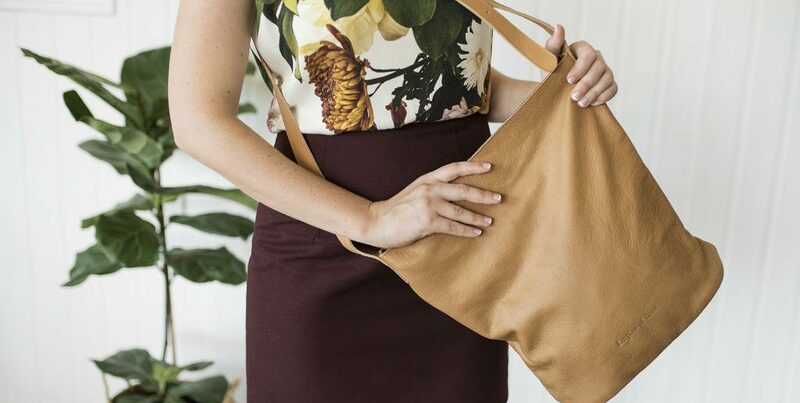 Queensland-based Empire of Bees is making high quality handbags and accessories (including cute purses, wallets, and market totes!). In an effort to avoid unethical factory production, the brand works with independent tailors in Indonesia, who handcraft their goods from locally sourced quality leathers that are a by-product of the local meat industry. For their internal fabrics, Empire of Bees uses upcycled fabrics that they’ve sourced from op shops and vintage stores from around the globe. The brand also avoids using packaging and plastics by shipping their products in the consumer garment carry bags made from calico and leather offcuts. Georgia Jay makes minimalist and modern handbags and accessories, with a focus on natural materials and hand finishings. The products which are a range of card wallets, purses and clutches, summer baskets, handbags, shoulder bags and totes, are all ethically made in New Zealand. Georgia Jay keeps a focus on slow fashion and says their limited edition runs and one-off pieces keep the brand adaptable and ultimately exciting. YU MEI is a luxury handbag and accessory maker out of New Zealand. Opting for a modern minimalist design, their bags are made from soft, high quality deer leather and all feature their logo in their signature gold foil print. By sourcing deer leather from New Zealand, YU MEI ensures that the leather has been ethically processed, and to minimise their impact on the environment, they use deer skins that are a by-product of the New Zealand venison industry. YU MEI’s bags which range between small handbags and totes are all handcrafted in New Zealand. New Zealand’s Duffle & Co opts for a vegan alternative to leather, using a Pinatex product made from pineapple leaves for their clutches, bags and accessories. Their products are ethically made in India, Nepal and Bali, and when you buy a Duffle & Co bag, the brand “plants 10 mangrove trees in Indonesia to protect wildlife populations and provide subsistence to local communities”.